Feed your backyard squirrels the first gourmet feed designed just for them. Premium pumpkin seed diet is higher in protein than corn or sunflower and contains no artificial coloring, fillers, or added oils. Chuckanut Premium Squirrel Diet has different options and/or variations, please choose below. Fresh, nutritious seed helps meet your squirrel's need for a high-energy diet. Also excellent for chipmunks, birds, gerbils, mice, rats, and hamsters. Place Chuckanut Premium Squirrel Diet in a place which is easy for you to watch, and accessible to your squirrels. A Chuckanut feeder attached to a tree or placed in your backyard is recommended. You may also use a bowl, certain bird feeders, or spread the seed out in a pile. Squirrels are creatures of habit, and should be given time to adjust to a new feeder and diet. Now, enjoy watching your squirrels crack open and devour their nutritious and delicious meal. Crude protein (min.) 30%, crude fat (min.) 15%, crude fiber (max.) 21%. 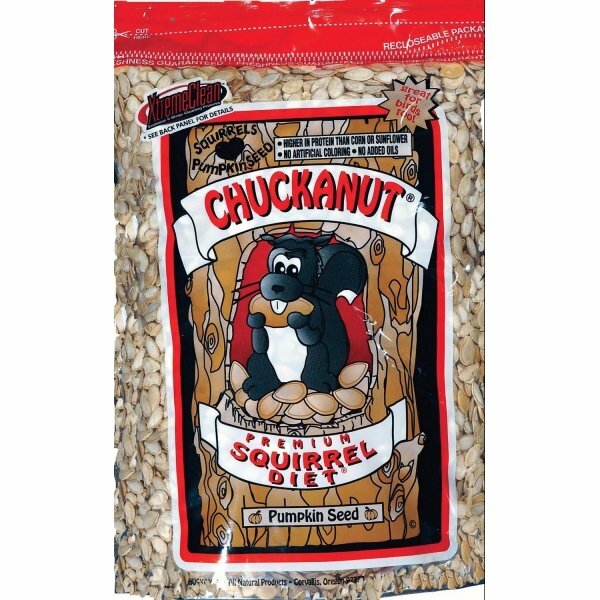 Chuckanut premium squirrel diet is good for squirrels and wild birds. 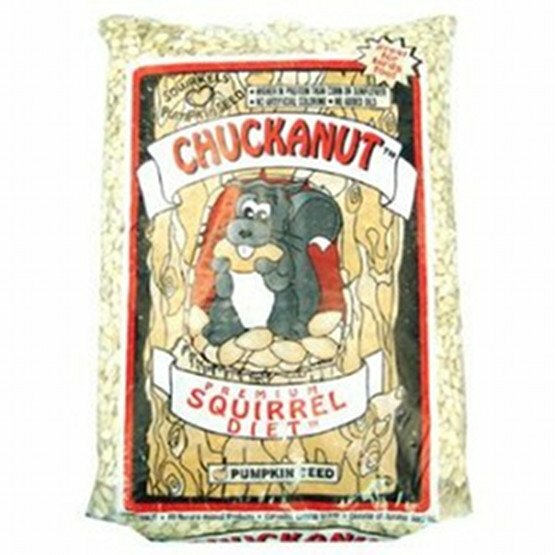 Squirrels will eat chuckanut on the spot due to its soft shell, rather than burying food.Pumpkin Seed 100%.